I gree Mr. Coach. Soon the negative energy branch will know the difference between an ex-international player coaching and a politician. They will disperately look for cover options haunted by their clueless analysis of your credentials and tactical approach.Come the end of half-1 and they won’t be commenting. I have slot of faith in your tactical prowess acquired from international football especially in Serie-A. Slowly by slowly am getting to know now who is actually clueless, tactless or everythingless. Your various situational tactical formations clearly demonstrates your class. You seem to be enlisting the negative branch members. Let me count in your list please. Too much quality in 2017, no doubt but only if you maintain 3-5-2 and 4-5-1 formations as I had predicted. We will definitely win most games with our depth in midfield. Personally, This coach is still clueless to me. His rubbish tiki taka does not fool me at all..without the input of jodala he would not be talking with so much confidence , truth be told. Thirdly, credit must go to AR leadership for sensing the need for Zico.Zico magic is beginning to show and am very optimistic about 2017 – at least 4 trophies, nothing less. Lastly, next match is zoo kericho, at camp jodala, expect a high margin scoreline, 4-0 will not be a surprise to me. Jodala + AR+ tiki taka is the new world order. Our level of double speak amazes me in this forum. 5 years ago Zico was hounded out of the club by the know it all gang. Then, he was tactless, clueless, weed smoker, career destroyer etc. Today he has reincarnated into a Jodala and brought maana from heaven to the club. Zico is hardly 2 weeks old in the club, and now some of us want us to belief that he is the reason Gor is playing entertaining football and winning. Let us swallow our pride and give credit to Ze Maria. A number of us hate him for reason best known to them, but he is proving us wrong. All we need to do as fans, is to give TB and players times and support. Let us not be too judgmental. Albert I cannot agree with you more. There are people here who have decided not to see anything good and Ze Maria; now they want to credit Zico for the up-turn in performance. Woe unto these hypocrites! The team has started off well, the win is a morale booster and will propel the team. If they win against Zoo Kericho in Kisumu on Saturday, the confidence will have been solidified otherwise we still have a long way to go. What will make the team perform? If we all unite and be solidly be behind the team, that has been GOR’S main strenth. True Fans have stuck with team in good times and bad times, something that other teams in the premier league yearn for….the GREEN ARMY is awesome. Take time to talk to the players, they talk so passionately about the fans, stopping in the streets greeting them, saying hi in the supermarkets or in the estates, name it. One referee once told me how knowledgeable GOR fans are and he would dare not make any questionable decision while officiating a GOR MAHIA match. That is the pedigree of a true GOR MAHIA fan. However, there are a few with a lot negative energy, those who have a big sense of belonging and they “happen to know” everything about the EC, TB and playing unit. They are quick at criticing and offer no solutions. I can state here without any fear of contradicting that should the team lose or draw aganist Zoo Kericho this saturday, they will be back here like a swam of bees with stinging attacks on everybody….mara Ze Maria has fallen out with Zico, the coach is a journey man etc. My parting short: let us rally behind the team, I think we have one of the most balanced team ever assembled in the recent past, it can go places. Sisi Mafuns in kuwin tu. We never spared our own ziko then but we embrase him now. It proves that we have nothing personal about anyone including wuod Maria. But when they fail to deliver… RIO Kogallo edition awaits them. Every coach wants to be in a position where he is overwhelmed with quality. That midfield is among the best while our defence has leaked the fewest goals for the last few seasons. If our strikers become more ruthless and clinical, there will be no stopping us. This time there should be no excuses as we gun for all the trophies available. @joods yesterday you asked for the negative energy branch and I see you still want them, I am honoured to announce that I am still here when we win I celebrate, when we lose gallantly I mourn, when are cluelessly beaten, I castigate!!!!. I think your support for Ze is very shaky, when we won the Super Cup you resurfaced, continuing this week but when Gor was getting thrashed in pre-season you went AWOL, nowhere to defend your beloved technician. At least the likes of NGESTO, Evans Ouma, Dan Original, ja Thur Gi ji and Marto Original stuck their neck in there for the coach from unrelenting criticism from us the negative energy branch aka watu wa siasa kali. Have principles Sir and stick to them!!! Otherwise I am already revving up for Kisumu and I am praying that the attndance keep on going up and up. The turnout in Nakuru and Thika was not bad but falls short of what Gor always attracts when in top form. The atmosphere is always electric when we fill the stadium to the rafters and I always live for such days. Hopefully with Ze Maria promising fireworks, even those who support us only when we win will all come to play!! “Gor will win 2017 league opener by not less than 3 goals”-Anonymous.This side of Wellington will be really put to test this season. @Prophet moses, which side? Do you mean the left side of defence? I dont think it will be problematic because Wellington, although a bit rough is solid enough in my OPINION and in the Super Cup, Joash played there in a 3 man defence which seems to be Ze’s preferred formation this season. Ze Maria indicated that Joash just missed the Sharks match via injury and suggests he MAY be his first choice for that left side of a 3 man defence. Joash is a no-nonsnse workhorse and will be difficult to beat. If Ze reverts back to a 4 man defense as he has indicated he may if demanded by circumstances and talent at his disposal, Walu may fall back to play leftback and you know how unpenetrable that side will be with Walu running the show. @musymo if you could remind anytime I commented on the friendlies. Personally I don’t, remember any including those we won .I engaged myself in more important stuff and let the team have ample time without any undue pressure, prepare for new season. It’s mostly the negative branch members who had the time to insult the EC, TB and the players. Like areal devil workshop,they even had time to go to camp Toyoyo to heckle the players and TB for loosing to police and onduparaka. This is the same branch that almost lynched the politician for loosing friendlies along the coast towards the infamous 2015 unbeaten run. Very shameless and clueless branch. hehehehe @joods ati shameless and clueless branch, that was funny and back to serious business, I never went to Toyoyo because I was idle, i had to skive an important engagement for the AP match nor to heckle my brother, I love Kogallo and want to watch even its friendlies. It is what I saw that saddened me and activated my negative energy side.Supporting Gor Mahia does not mean saying only good things even when the team is below par. I was in Thika, @ Camp Toyoyo for all friendlies, in Nakuru and definitely will be in Odhus Mboka to cheer and jeer. To me that is what supporting Gor is and not coming here to say ….”give the coach time, team still gelling, leave the TB, alone your jb is to support and such sweet nothings!!!! But still I will respect your opinions and your right to say them here and everywhere else!! @Musymo you need to learn to live with attention seekers who are trying so desperately to become relevant. Hi guys. I posted a comment in the previous blog concerning this issue of “negative branch” vs “positive branch” if there is anything like that. It could have been missed by many because admin posted a new topic hence attention shifted. Since that argument is resurfacing here, please allow me to copy paste that comment “as is” into this current discussion. I fear it will throw some spanner into the works but I really want to read your reactions. Energy is energy. Whether it is positive for those who warm the seats and fear mixing with hooligans due to their fear of teargas and rowdiness. Negative energy is better especially for those who take their negative energy to the field to support kogallo. I will not stop criticizing Robert and tge Nyangi’s for his obvious mismanagement of the club. Why do some blogger behave like primary school prefects! Bure kabisa. We will still attend matches and heckle when necessarily. Hooliganism+ Heckling+ negative energy= A true kogallo support. For those non cowards who went to thika, the monster minibus we hired was lively with noisy and rowdy fellows . We Aso commanded traffic near Kencom. It was lively but for the ever cautious sofaset guys, that is hooliganism. So be it. No one is gonna change the crowd mentality. Here is my re-wound comment. I too belong to the school of thought that Zm needs to be given another chance and he may just perform and prove his critics wrong. But honestly, I don’t think it is any wiser for our wing to start chest thumping and displaying an “I said so” attitude just because we have won the first match. For God’s sake the league has just started and we have absolutely no idea how it will end. Of course we hope it will end well for us. The fact that our comrades from the “Negative Energy camp” (if there is even anything like that) harshly criticize poor performance both in the pitch and in administration does not mean that they have lesser romance with the club than us. Infact those criticisms are healthy for they keep those responsible for club handling on toes and in check much like a strong opposition is needed in a country’s politics. I hate to imagine how this blog would be like if we all sung one particular chorus. Definitely it would be boring. The only thing that makes me keep on keeping on opening this blog every day is to see what @Musymo (baba yao.. hehehe) et all have posted so that I react to it. That is what keeps this blog going so there should be no hard feelings. We are all Kogallo for better for worse. Actually, the harsh criticism from that camp could be a manifestation of the strong love they have for the club hence the tantrums when things are going south. Please let us stop fighting each other and deciding who is clueless. Lets agree and disagree amicably. Just offer your rebuttal and if the other person disagrees with your opinion, just shrug your shoulders and move on. Life is too short for bickering. Ze Maria , only fools get excited easily …..
One swallow does not a summer make. Four more games to go.Happy that Ze Maria/Zico have won 2 games but they have to prove it ain’t flukes. That said i accept and note that the to journey to a being CECAFA/CAF champion restarts with defeating Ksharks. That’s calls for proper strategy by bloated EC. Even Kshark’s EC have released gate collections approx. 540k. That’s transparency. The league has just kicked off, some games haven’t even been played. Praising Ze Maria for this one win reveals the sycophancy in us. 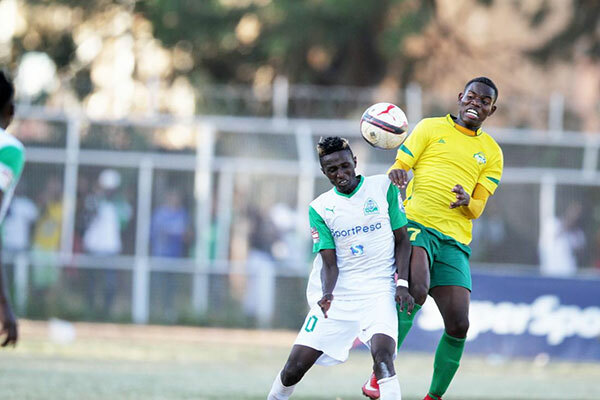 Gor Mahia is not a club that should throw a party simply because they have beaten a hapless Mwendwa Sharks. Get it right, Gor beat Mwendwa Sharks, not Azam, Ingwe or Yanga. To keep our club at their expected calibre, we have learned over the years that criticism, pessimism and making a few enemies works wonders. Through our noise, we brought back Kagere. Through our noise, the playing unit worked hard enough to win the DsTV supercup. So, expecting me to loosen my grip on the nondescripts is too stupid a dream. We thank Ze Maria for the expected win against Mwendwa Sharks but we will only congratulate him if he delivers the Top 8 cup, GoTv shield, KPL trophy, Mapinduzi cup and CECAFA cup into our famous trophy cabinet. You youngsters who get fascinated by small wins should wake up and widen your scope of expectations. Where did Mamelodi Sundowns or Zesco overtake us? Celebrating a win over Mwendwa Sharks! Really? Ukuodo wiwa! nothing like ziko,zemaria is the head coach and he has brought as this far.some season back ziko was at GOR what did he do?last season he was at posta rangers what did he do?